Gaming gear manufacturer NZXT has unveiled a new set of officially licensed gaming products launching this year with last year's breakout hit. The CRFT series is a line of limited edition products that pulls from popular titles. The first of which, CRFT 01, is the H700 PUBG limited edition case. 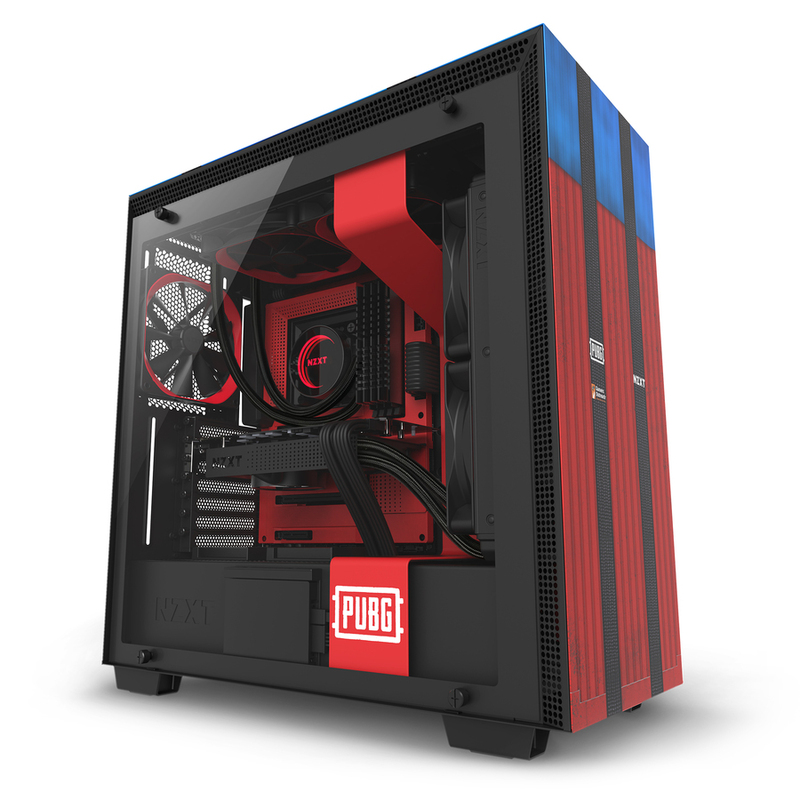 The case is the result of a collaboration between NZXT, PUBG Corp., and Gamers Outreach. The mid-tower case is modeled to look like one of the Airdrop crates from PUBG. There will only be 2,000 units of the case produced, with 10 parent of all sales donated to Gamers Outreach, an organization that seeks to provide children with hardware and tech to make their experience in the hospital better. The CRFT line is meant to "celebrate gaming's most exciting franchises." Each release will be created in a limited run. Should you decide to purchase one of the PUBG cases, it'll set you back $199.99. This particular case isn't that attractive, but it may appeal to PUBG mega-fans who want the word PUBG written on the side of their gaming computer. It will be available in August 2018. There is no current information on what game license to expect out of the next CRFT release.